Spanish Foreign Minister Miguel Moratinos met with the Minister for Foreign Affairs of the Palestinian National Authority this week to discuss the Middle East peace process and the upcoming summit of the Union for the Mediterranean. The Spanish government announced its intentions to strengthen relations with the Palestinian Authority following President Abbas' recent decision to renew direct negotiations with Israel. Spain has decided to afford the General Delegation of the PA the status of Diplomatic Mission, effectively recognising the Palestinian Authority as the government of a future Palestinian state, despite the deepening rift between the factions of Fatah and Hamas. During the meeting the two leaders addressed the prospect of peace following the renewal of direct talks, and the possibility of increased co-operation ahead of the summit of the Union for the Mediterranean (UPM), which is to take place in Barcelona later this year. Quote: "The two Ministers also had the opportunity to talk about the Union for the Mediterranean Summit that is scheduled to take place in Barcelona in November. Along these lines, Minister Miguel Ángel Moratinos indicated that Spain remains fully involved in the work as host country and said that he hopes to count on the support of Palestine in the preparation and development of this Summit. A similar meeting also took place last week between French President Nicolas Sarkozy and Egyptian President Hosni Mubarak. Sarkozy was of course the originator of the idea of a Union for the Mediterranean, while Mubarak currently serves as the union's southern president. Both leaders discussed the Middle East peace process, and the possibility of using the November summit to facilitate a possible peace agreement between Israel and the Palestinians. Quote: "Sarkozy said he agreed with President Mubarak to hold the second summit of the Union for the Mediterranean in November to realise peace in the Middle East. The summit will be an important chance as it will bring together Palestinians, Israelis and other parties concerned to look into ways of boosting Middle East peace efforts and achieve a two-state solution, he added. The French leader lauded the deeply-rooted relations between his country and Egypt, saying the two countries have "distinguished" relations. Thanks to the friendly ties binding Egypt and France, the Union for the Mediterranean was brought to daylight, he said. The Union for the Mediterranean brings together all the states of the European Union, along with most southern states that border the Mediterranean Sea. It was born out of the Barcelona Process, also known as EuroMed, which held its first session in Madrid, Spain in 1995. After around 12 years of talks with little real progress being achieved, Nicolas Sarkozy first proposed the idea of transforming the Barcelona Process into a union of states, in a similar vein to that of the European Union. In October 2007, referring to the collapse of the old Roman Empire, Sarkozy boldly declared that, "Within every man and woman who lives on the shores of the Mediterranean sleeps the memory, nostalgia, for the unity lost 15 centuries ago". In 2008 his proposal was officially adopted by the European Union, and later that year the Union for the Mediterranean was born. As you can see, there is clearly more to this idea of a Union for the Mediterranean than meets the eye. It is not just about promoting peace and stability on the shores of the Mediterranean Sea. It is also about consciously recreating an old social order that has not existed since Caesar sat on the throne. In 2008, President of the European Commission Manuel Barroso was challenged by a European parliamentarian to explain exactly what the end goal of the European project was. We are constantly told by our politicians of the need to integrate our societies and accept globalisation without ever questioning why. In his response to his questioner, Barroso made an astonishing claim, that the EU was essentially the world's first "non-imperial empire". And as I recently remarked, when Belgian politician Paul-Henri Spaak was asked how he felt upon signing the Treaty of Rome, which formally established the European Community - the forerunner to the European Union, he said, "we felt like Romans on that day... We were consciously recreating the Roman Empire once more". Not only is the European Union philosophically linked to the Roman Empire of old, is is also linked to it geographically, with the Union for the Mediterranean covering a similar land mass to that of Daniel's fourth beast. Is all of this just mere coincidence? Or could there be more to it? What makes the European Union or the Union for the Mediterranean different from any other empire that has existed throughout history? Different from, for instance, the British Empire? The answer is, the Bible foretold that this would happen. 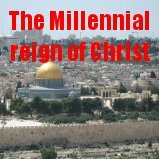 The prophecies of Daniel and Revelation predict that just prior to the return of Christ, a great empire will arise out of the Mediterranean Sea (Revelation 13:1). This empire would be different from all that came before it (Daniel 7:7). Nebuchadnezzar's dream, which was given to him by God to show him what would come to pass in the latter days (Daniel 2:28), predicted that there would be five successive empires that would rule over the Jewish people. They were to be Babylon (Daniel 2:32), Medo-Persia (Daniel 5:28), Greece (Daniel 8:21), Rome, and a fifth world empire which would be a weaker form of the fourth (Daniel 2:41). Many years later, the prophet Daniel was given a vision by God of four beasts, which represent the same four successive world empires that would rule over the nation of Israel. Only this time a fifth empire is not mentioned. Instead Daniel's prophecy foresees the Antichrist, the end time ruler, as rising directly out of the Roman Empire rather than the final world empire. How can this be? Only when we understand that the fifth empire is really a revived form of the fourth, does the prophecy make sense. And the similarities are there. In Nebuchadnezzar's dream, the statue's feet are formed from both iron and clay, indicating that this last empire would retain some of the strength of the previous one (Daniel 2:41). And although the prophecy does not mention how many toes the statue had, we can assume that it had ten, and this correlates with the ten horns of the fourth beast (Daniel 7:7). John's prophecy of this final world empire also likens it to a beast with ten horns, which represent ten kings that would rule one hour with the Antichrist (Revelation 17:2). As you can see, this final world empire, as prophesied in Daniel and Revelation, is now coming together. The fact that the Jewish people are back in their land, and that Israel is once again a nation, is further evidence if you needed any that we are now living in the last days. And the fact that this final world empire is seeking to facilitate a peace agreement between Israel and the Arab world proves beyond a shadow of doubt that what the Bible says is true (Daniel 9:27), and that the Lord Jesus Christ is coming back soon just like He promised (Daniel 2:24). The question is, is He coming for you? Will you be a part of His Kingdom when He comes? The Bible tells us that the unrighteous cannot inherit the Kingdom of God (1st Corinthians 6:9). That means those who do not have a right standing with God, and the Bible declares that we are all unrighteous, for we all have sinned and come short of God's standard (Romans 3:23). 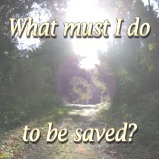 So if we are to be accepted into God's Kingdom, we must have our sin dealt with. But how? The Bible tells us that flesh and blood cannot inherit the kingdom of God (1st Corinthians 15:50). That means there is absolutely nothing we can do of ourselves to obtain favour with God. It can't be done through our own efforts (John 1:13), not by going to church, not by being a good person, not by giving money to the poor and not even by praying (Acts 10:2). While these things may appear to be good, none of them can actually deal with our sin, which is the thing that will keep us out of God's Kingdom. The only way we can have a right standing with God, the only way we can have our sins forgiven, the only way we can please God, is by putting our faith in the Lord Jesus Christ for salvation. Only by trusting in Him for the forgiveness of our sins can we be born of God's Spirit and enter into the Kingdom of His dear Son (Colossians 1:13). Trust in Him for salvation today.